If you landed on this text, you might be already interested in investing in cryptocurrencies. Virtual or crypto currencies like Bitcoin and Ethereum are definitely by far the hottest investment product currently available. These immutable and exchangeable cryptographic token promise to become a hard and non-manipulatable money for the whole world. Their advocates see a future in which Bitcoin or other cryptocurrencies will substitute Euro, Dollar and so on and create the first free and hard world currency. In the past, investors in cryptocurrencies have been ridiculously successful. Let’s have a look at three charts, which show the price of Bitcoin, Ethereum and all cryptocurrencies combined. Since 2011, Bitcoin generated an increase in the value of at least 25,000 percent. Since a linear chart can’t represent this increase, we need to use an exponential chart. Since May 2016, Ethereum value shot up by 2,700 percent. That’s maybe the fastest rally a cryptocurrency ever demonstrated. And talking about all cryptocurrencies – the complete market cap soared by 10,000 percent since mid-2013. With this quote, we start our guide. Here you see the “market cap” of all relevant nations. Market cap means the value of all token available. It is not a perfect metric, but likely the best we have to recognize the value of a cryptocurrency. If you want to have a balanced portfolio at one point in time, it might be a good strategy to simply reflect the ten most valuable currencies in your portfolio. More interesting however is it to take some time, read about those coins, decide, if their vision gets you and make this to the base of your asset selection. Some on smart contracting, like Ethereum and Ethereum Classic, and some on scaling payments, like Litecoin and, again, Dash. Some coins, like Ripple or Nem or Bitshares, seem to be less open and decentralized as Bitcoin and other coins. The cryptocurrency markets are a blazing, often confusing ecosystem, in which you find thousands of chances to win a lot of money – and to lose it. Every day gives birth to new coins and death to some old coins. Every day sees some coins heavily falling, and some vertically raising. If you buy altcoins, there are some rules to discriminate the good from the bad. Good coins have a transparent technical vision, an active development team, and a vivid, enthusiastic community. Bad coins are in transparent, promote fuzzy technical advantages without explaining how to reach them, and have a community which is mostly focused on getting rich. Maybe the worst shatter of cryptocurrencies are the MLM coins, for example, OneCoin, which target the technical uninformed with a multi level marketing system, promising to be the next Bitcoin. Beware of them! If you want to experience possessing real Bitcoins – or if you want to avoid paying the partly high fees for investment products – you should start buying Bitcoin directly. For doing so, you have a lot of options all over the world. Just look at our guide listing a large part of the world’s Bitcoin exchanges. Mostly buying Bitcoin is not a big problem. You open up an account at the exchange, verify your identity – this is required due to Anti-Money-Laundering rules in most jurisdictions – and fund your account with Dollar or Euro or whatever paper money you use. On some exchanges, like Bitcoin.de, you don’t need to fund your account, but trade directly with other users. Other than Bitcoins Altcoins are somehow harder to acquire. Some major exchanges like Kraken, BitFinex, and BitStamp, have started to list some popular Altcoins, like Litecoin, Ethereum, Monero, and Ripple. If they are part of your portfolio, don’t hesitate to buy all at one stop shop. But there are hundreds of cryptocurrencies out there. If you want to go to a crypto supermarket, where you can buy and sell most of them, you need to register at what is usually called an altcoin exchange. 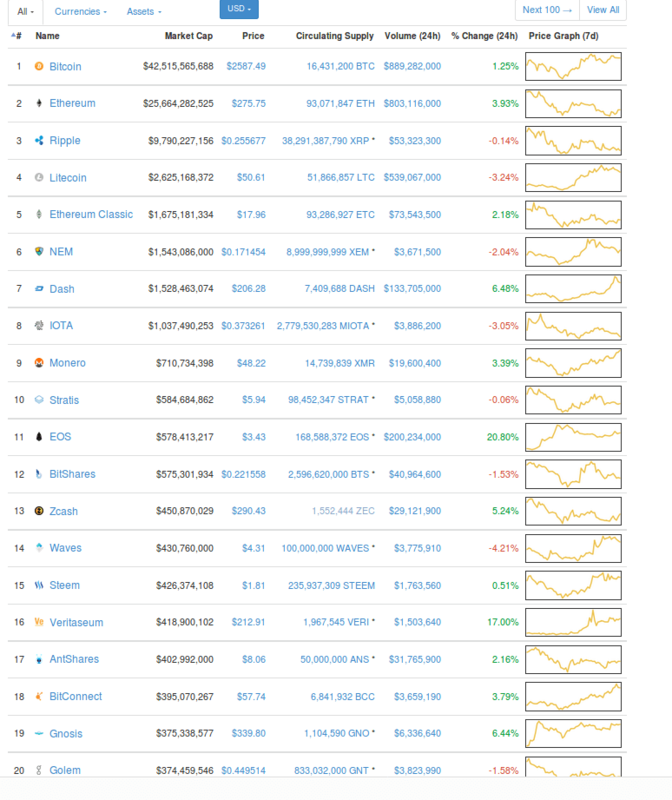 Again, the site coinmarketcap is useful, as it lists all crypto exchanges, sorted by trade volume. The Altcoin exchanges have less strict KYC (know your customer) rules, as here you usually don’t trade with fiat money. 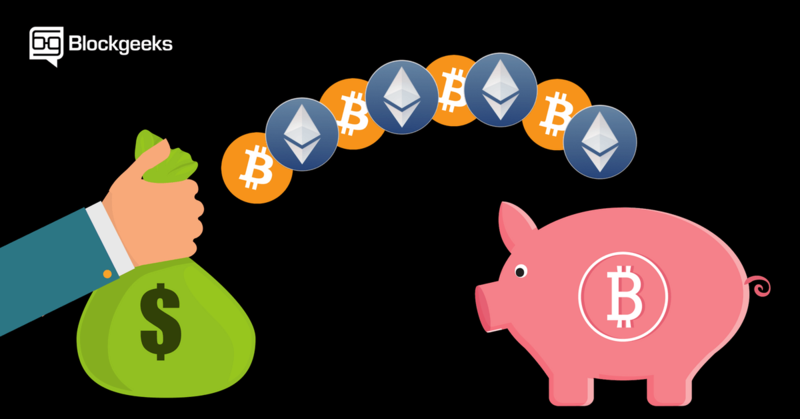 You can fund your account with Bitcoin, which serves as a unit of account for the altcoin markets, similar to the Dollar’s function on the Forex markets. Like with Bitcoin exchanges you should be careful to choose an exchange with a high trust level. However, most altcoin exchanges are not regulated, and many are located in Asia. So you never should place too much trust in them, as you have nearly no chance to get anything back if they are hacked or file bankruptcy. But exchanges like Poloniex and Bittrex are based in the US and have a long history of providing a secure and safe trading environment. For example, many people did not buy Bitcoins at $1,000 or Ethereum at $100, because it seemed to be crazily expensive. But some month later these prices appear to have been a good moment to start. After you acquired cryptocurrencies, the most important question is how to store them. You have several options which enable you to find your balance of risks. If you invested not only in Bitcoin but in several Altcoins, there is usually no way around keeping coins on an exchange. You don’t want to get in the trouble of installing, compiling, malware checking, using, syncing and updating the software for every coin you invested in. Since when do they operate? Do they provide some audits to ensure you that all the coins are available? How do they react to customer’s requests? The real revolutionary property of cryptocurrencies is the autonomy they grant the individual. This property can be found also and above all when it comes to storing cryptocurrencies. You don’t need anybody. Not to help, and not to trust. All you need is to download a free and open software. Again, you have most options with Bitcoin. For the most famous cryptocurrency, there exist a lot of wallets for every device. This software can be used to receive, store and send Bitcoins. There is the Bitcoin client, the so called full node, which grants the highest level of autonomy, but also requires a lot of time to sync and disk to store the blockchain. Easier to use are thin clients like Electrum. These are available for every device. It’s important to know that when storing crypto by yourself, it is solely you who is responsible for the safety and security of your coins. If your smartphones fall in the water, your coins could be gone. If you get a malware on your computer, your coins could be gone. And so on. Fortunately, you have more than one option to make a backup. First, you can copy your wallet file on a USB stick. Better use two or three. Second, you can print out your private key. This is the onliest information you need to reconstruct access to coins belonging to a certain address, everywhere and every time. Third a lot of wallets support so called seeds, which are sentences of 12 to 24 random words. With them, you can not only rescue a single address, but every address ever made with this wallet. If you print them out, you don’t need to worry about your coins. One of the safest options to store Bitcoins is hardware wallets like Trezor or Ledger. This is either smartcards or micro machines, which can generate keys and sign transactions without the main computer directly involved. The most vulnerable parts of Bitcoin – the private keys – don’t get in touch with the internet at all. However, deemed as even safer are paper wallets. This simply means you print out your backup and delete the wallet from any machine which is connected to the Internet. No connection, no computer, no hacker. Just a piece of paper, which can store millions or billions of Dollar. Like with most things, the infrastructure of Altcoins can’t compete with Bitcoin’s. Some popular altcoins, like Litecoin, Ripple, and Ethereum, can be stored in hardware wallets. If you know what you do, you can also use paper wallets for any Altcoin, as the fundamental cryptographic concepts remain the same. But there is no easy one stop shop to store a huge variety of Altcoins by yourself. If you want to do so, you need to download the client of all these coins, download its blockchain and keep it updated. If your portfolio consists of 10 or 20 coins, and playing around with software is not your hobby, you can safely cut this option and use exchanges. It’s more as you sold your house than a security.